Sandwiched between Interstate 395 and Interstate 495 and fed up with cut-through commuter traffic, residents of central Alexandria are asking the city for help. 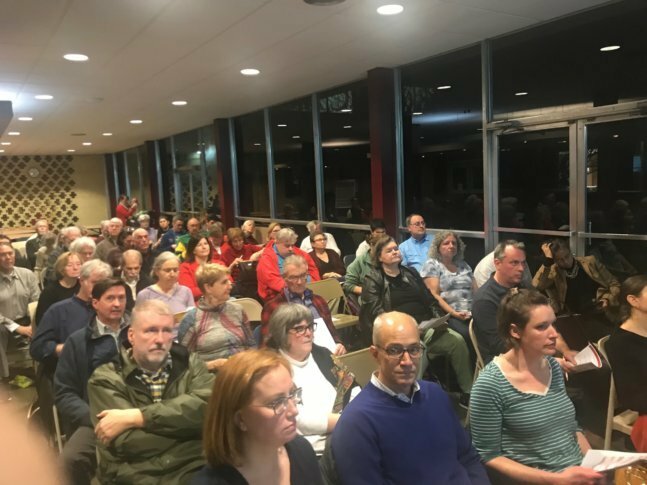 ALEXANDRIA, Va. — Sandwiched between Interstate 395 and Interstate 495 and fed up with cut-through commuter traffic, residents of central Alexandria are asking the city for help. Residents say navigation apps like WAZE have increased traffic in their neighborhoods — Seminary Hill, Seminary Ridge, Clover College Park and Taylor Run — where streets are narrow and children play. “Roughly 44 percent of the traffic in our neighborhood originates outside the neighborhood and ends outside the neighborhood. They don’t stop, they’re just coming through the neighborhood,” said Tom Fulton, a resident of the Seminary Hill neighborhood. Neighbors say right turn restrictions that went up in the area in recent months have helped but it’s sometimes hard to drive to the grocery store or just pull out of the driveway. “The cut-through traffic is way up. It’s not just during peak hours. I’ve nearly been run over by a car with an out-of-state-plate at 7 p.m. walking with my 5-year-old, my dog and my husband,” said Jill Hoffman, who lives in Clover-College Park. The city is pressing ahead with short, medium and long term goals aimed at encouraging traffic to remain on the main arteries and out of the neighborhoods. “If we can keep cars on the arterials, hopefully they’ll cut through the neighborhoods less,” said Hillary Orr, Deputy Director of Transportation, City of Alexandria. Orr told attendees of the Feb. 4 community meeting that among the goals is to secure funding to improve the capabilities on Duke Street, one of the city’s principal traffic corridors. The city plans to use Smart Mobility technology. “That’s where our buses can interact with the traffic signals so that they get an extended green time to get through. It makes riding a bus more appealing, if you’re not waiting in traffic with everybody else,” Orr said. Orr agrees that navigation apps are directing traffic through some neighborhoods, taking the fastest route. Everybody seems to agree that it’s a daunting challenge to keep traffic moving on main arteries and out of neighborhoods — not unlike “whack a mole” — the arcade game where a player uses a mallet to hit toy moles only to see another mole pop up somewhere else. “That’s exactly what happens, you ban a turn one place, the cars are going to go somewhere else,” Orr said.